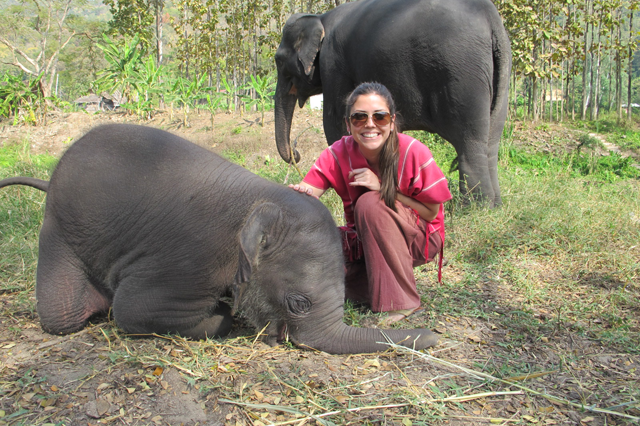 With Tarah, the 2 month old baby elephant at Tat Patara. 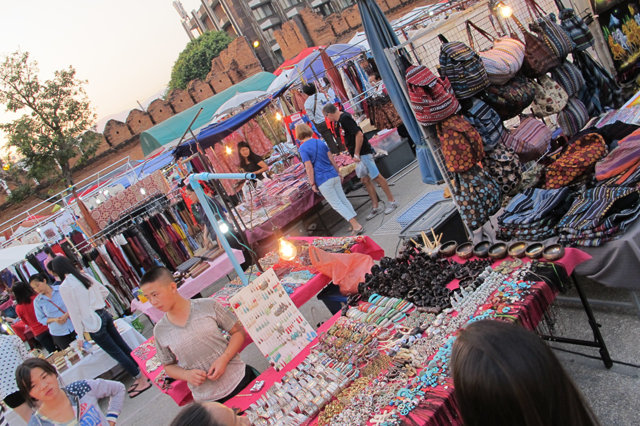 Chiang Mai, located about 100 km South of Chiang Rai, was our third stop. The city is absolutely wonderful, filled with lovely people, some of the best restaurants in the country and some beautiful sites. We did a lot in the three shot days we were there. We took a fantastic Thai cooking class (we learned to make Tom Yum Soup, coconut soup, pad thai, and more), visited with some cutie elephants at the Tat Patara elephant camp, attended a Thai music and dance show at the Le Grand Lanna restaurant, checked out the immense (and pretty crazy) Sunday market, and got our very first Thai massages. 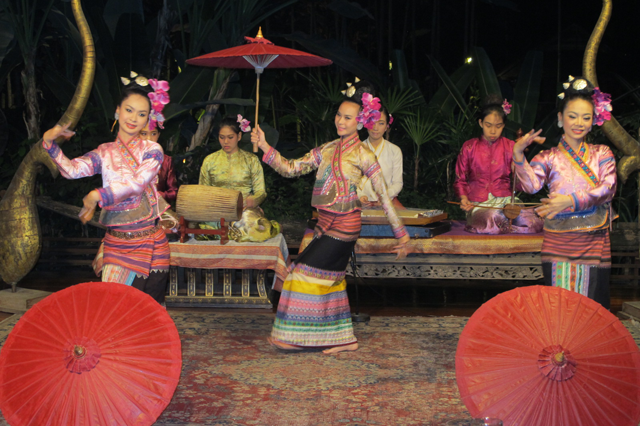 Le Grand Lanna Thai music and dance show. 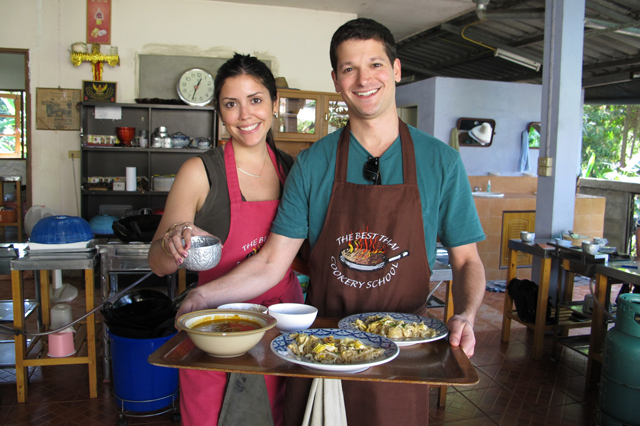 Showing off our culinary creations at the Best Thai Cookery School. The Sunday Market when it was still early and pretty empty. 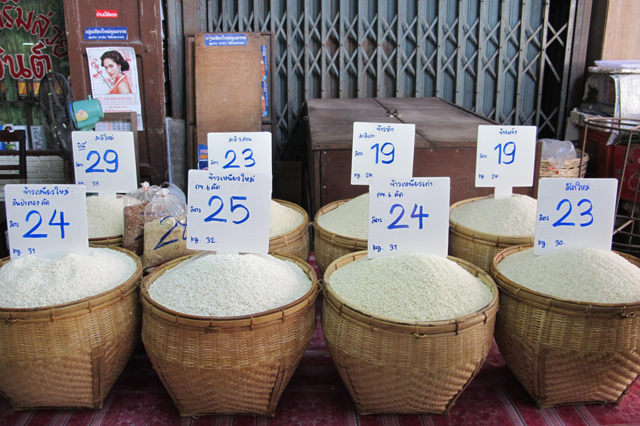 The wholesale veggie market sells so many different types of rice! Great post! A friend of mine visited this area and had a wonderful time too. How lovely to learn how to cook the traditional Thai dishes. We visited Bangkok a few years ago and I would love to return to this amazing country. I love all these photos! I have always wanted to visit and can like vicariously thru you until I make it happen. That market looks awesome. That baby elephant, so adoreable! Your trip looks amazing! Just LOVE all these recaps! I am devouring every little bit -i will have to send you an email! your trip looks amazing. Hope you are enjoying every minute of it! This looks like an incredible experience! And I'm having a serious "awwww" moment over that baby elephant!